Witsand (Lui Bay) - great for diving, around the hull of the wrecked Antipolis near Oudekraal or the Romelia a little further south. Glen Beach - great for surfing! Bakoven - home to the much photographed beach houses from the 1940’s, erected to house members of the South African Army returning from World War ll. 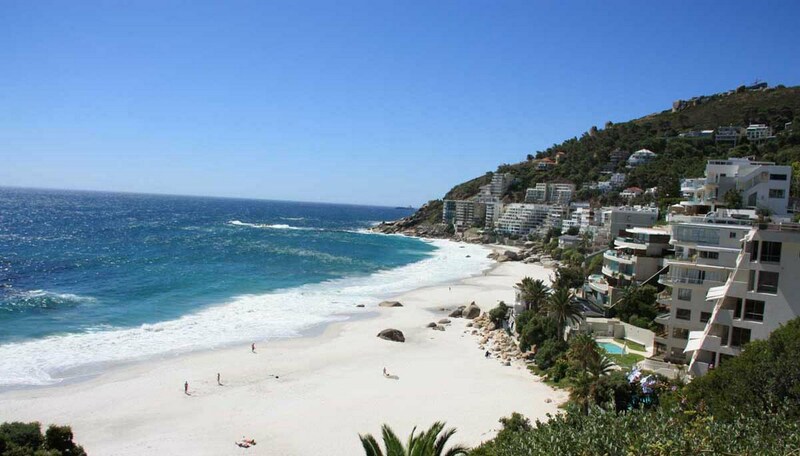 Neighbouring Camps Bay, Clifton features gorgeous (and expensive!) homes built on the cliffs with wonderful views of the South Atlantic. 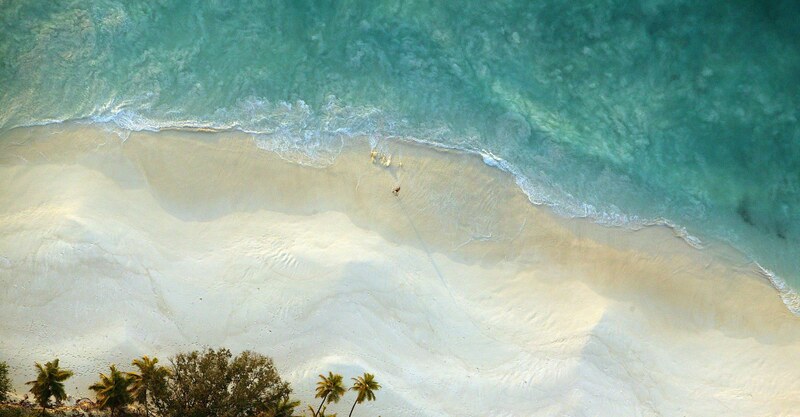 The Blue Flag beach is consistently voted one of the best in the world, with pure white sand. There are four sections (numbered, creatively, 1-4) that are separated by falls of granite and are protected from the south-easterly wind making them a great place to swim. There is an ephemeral fifth beach, the papyrus-fringed ‘Moses Beach’ which comes and goes as the sand is seasonally washed in and out. Indeed, the removal and redeposition of sand goes hand in hand with water temperature changes between the seasons, with more sand and cooler water in summer, and less sand with warmer waters in winter! Home to a great many water sports, the surf is strongest at First, diminishing as you get to Fourth, the most popular with families and home to yachts moored offshore. 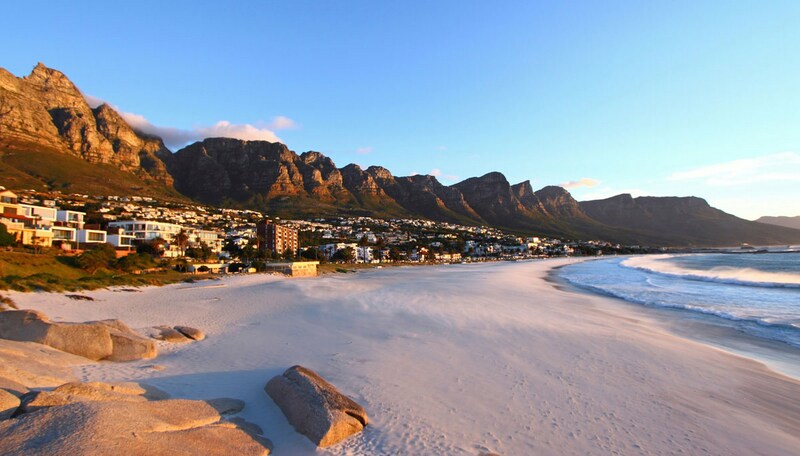 Overlooked by mountains and surrounded by large granite boulders, the beautiful Llandudno Beach is popular for surfers. 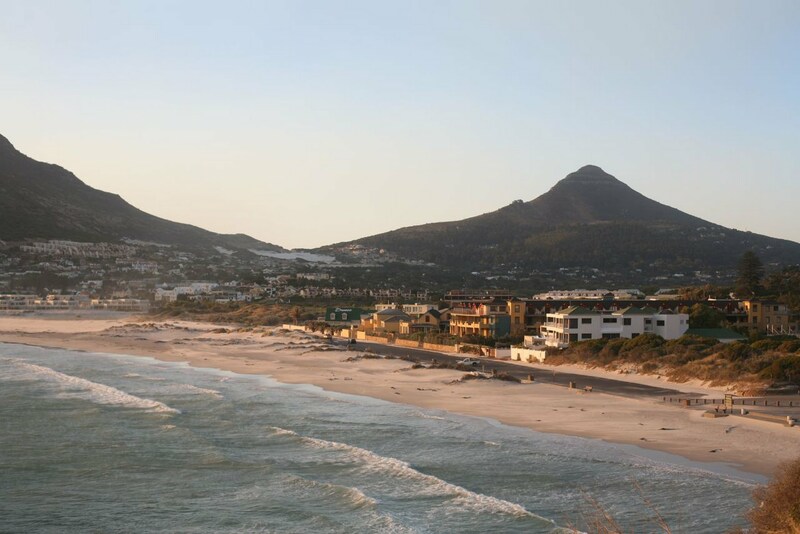 The picturesque white sands stretch for 200m at this blue flag rated beach, and whilst the cold water is not the best for swimming, the beautiful surroundings make it perfect for sunbathers and sundowners alike. The sheltered bay is popular, with pure white sand and a thriving fishing harbour bringing in tuna, snoek and crayfish. It has a yacht club and several fish restaurants as you might expect, with stunning views of the bay and beyond. Recognised as one of only 16 ‘Big Wave’ spots by the surfing community, the waves can reach an astonishing 14m in the area fringed by reefs. The famous Big Wave Africa surfing event is held here every year. 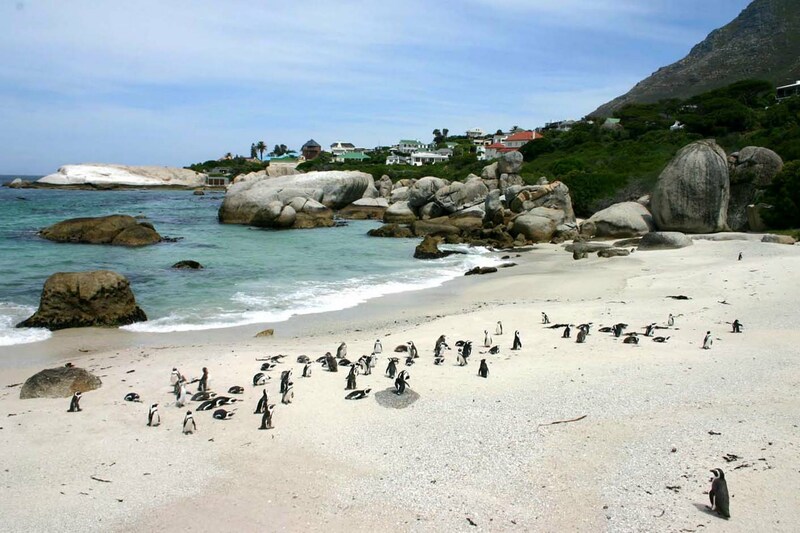 Part of the Table Mountain National Park, Boulders Bay is famously home to a colony of African penguins that arrived in 1982. The sheltered beach is divided by inlets flanked by granite boulders - hence the name. The penguin colony has grown to over 3,000 birds from the first two breeding pairs that arrived. Uniquely,having a protected natural space close to a residential area means that the birds can be easily closely observed, especially from the nearby Foxy Beach, where a boardwalk can take you within a few metres of the birds. 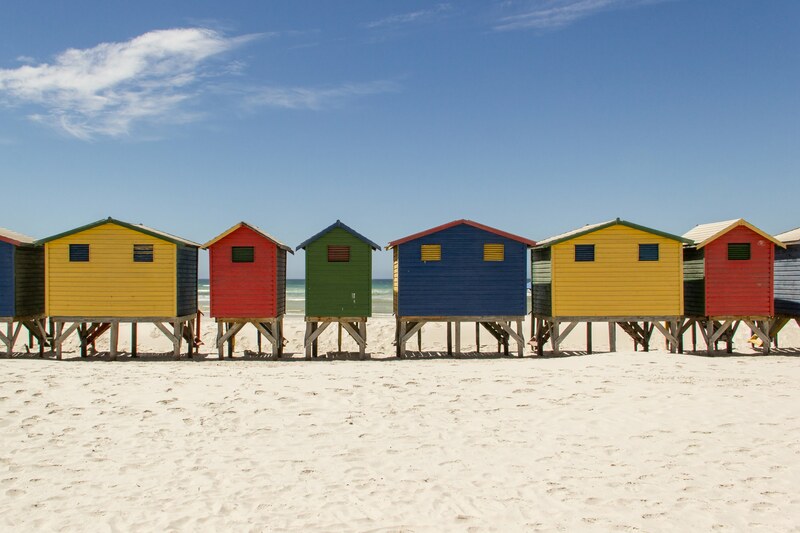 Another of Cape Town’s Blue Flag rated beaches, Muizenberg has been popular for hundreds of years, the often photographed multi-coloured beach changing booths are a useful landmark, situated directly on the long sandy shoreline. It has a strong surfing heritage and the array of local shops that offer lessons make it a good choice for beginners. Muizenberg beach is popular among families, with a variety of activities to enjoy - including an outside swimming pool with its on waterslide. The surrounding back beach area benefits from a wide range of restaurants and shops. 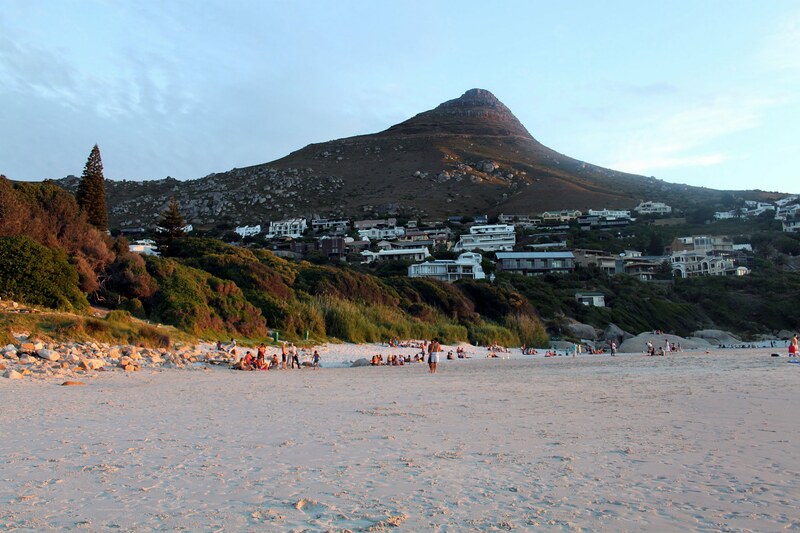 Mnandi Beach features a huge 5km sandy shore, set alongside the warm waters of False Bay. This long stretch of beach makes it ideal for walking and fishing. Throughout June - September Mnandi Beaches is one of the best spots for whale and seal viewing. Water spouts, and shimmering tails flick out of the water as the wonderful creatures frequent the coastline. Some watchers will be lucky enough to see these huge mammals breaching. Mnandi is a very safe choice too, as a Blue Flag beach professional lifeguards will be on duty throughout the high season. There is also a recreational area with plenty of activities for younger visitors, and plenty of places to picnic or bbq. 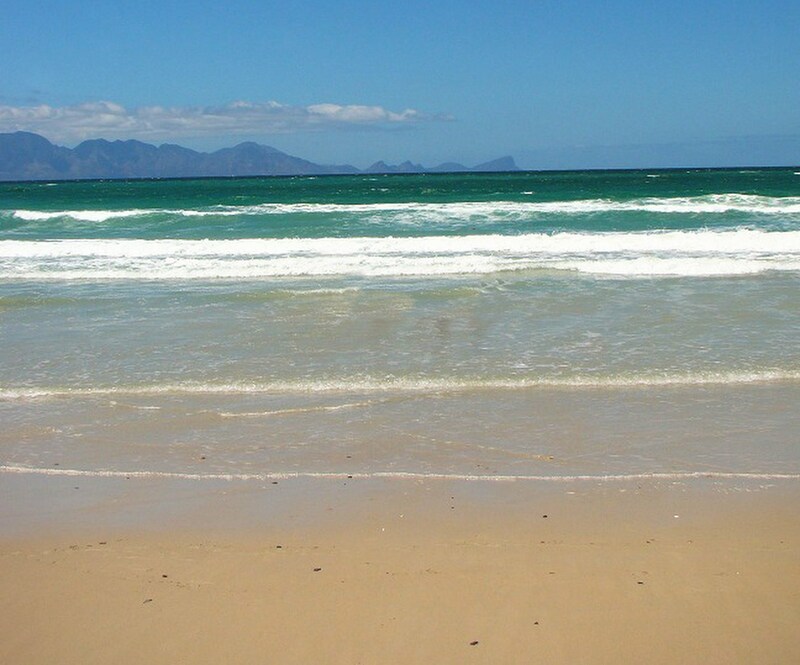 Strandfontein is another Blue Flag rated beach situated on the False Bay coastline. It has become very well-known for having the biggest tidal swimming pool in the southern hemisphere. When coupling the pool with the warm waters of False Bay, Strandfontein is a perfect beach for swimming. The beach is popular with locals and tourists alike, large parking facilities make it easily accessible. Known for its safe bathing conditions, Strandfontein Beach is guarded throughout the year by the voluntary lifesaving clubs based at the local NSRI and Strandfontein Lifesaving Club.